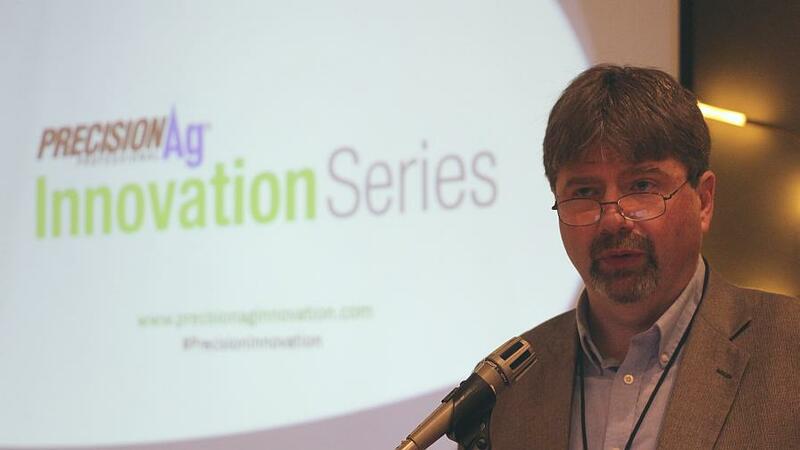 Paul Schrimpf, Executive Editor, PrecisionAg Media, welcomed the audience at the 2017 PrecisionAg Media Innovation Series event on Feb. 22, 2017, in St. Louis, MO, at the Renaissance St. Louis Airport Hotel. If you’ve been following past coverage of our PrecisionAg® Media Innovation Series events, this column is going to sound a bit different from my past recaps. And that’s a good thing. As I’d noted in the past, some of these high-level precision farming meetings have had a tendency to devolve into hours and hours of complaining that “my ‘X’ planter doesn’t exchange data with my ‘Y’ FMIS system, and my ‘Z’ Controller doesn’t talk with any of them,” and so on, and so on. As someone who has advocated for more buy-in from the industry on partnerships and Application Programming Interfaces (APIs) in the past, just let me say this. THANK.GOD.THAT.IS.OVER. This year’s meeting seemed absent of really any of that compatibility whining, and that’s got to be a result of the industry gaining real, solid ground on many of the well-documented “pain points” — and third-party system compatibility and a general lack of data standards, has surely been a major factor in holding adoption down, heading into 2017. As Ag Info Tech CEO & Owner Tim Norris stated (along with several others throughout the day) “To succeed we’ve got to be able to move data fast; if we can move it fast we can build value, and if we build that value the grower will make a better effort to make sure his data is (coming in) clean, and he will pay us for our services.” More and more, growers are demanding real-time data, and as a service provider, if you don’t provide that real-time, dashboard “at-a-glance” view that allows a busy farmer to focus his/her energy and efforts where they are going to make the most difference to the bottom line, then someone else will. Basically, if you’re delivering field data that is over 48 hours old, you’re probably not going to move the needle with that customer. I wonder if as an industry someday we’ll agree on what an efficient, professional, optimized scouting program looks like. Our Tools for In Season Success panel ran the full gamut on that subject, from the highly-targeted, predictive analytics approach that participating companies like SPENSA and Farmer’s Edge are advocating, versus the more traditional summer scouting program like at Indiana-based retailer Co-Alliance, where I was lightweight shocked to hear from Luke Lightfoot, Ag Technology Manager, that the company still hires over 40 college students to do manual field scouting every summer. These college students scout on average around 200 fields per day (! ), according to Lightfoot, and the company employs a small staff to make sure the data these college-aged scouts are collecting in between scanning Bumble for chicks and Facebook LIVE sessions is good, clean data. With FAA’s Part 107 rule making commercial UAV licenses easier than ever to obtain, plus all of the satellite (the coming DOVE micro-satellite mega-constellation that will enable daily satellite imagery throughout the world was another topic of discussion) and manned aircraft imagery providers offering cheaper and cheaper imagery subscriptions, I’ve got to ask: Why? There’s got to be a better way. This is just a guess — and probably a little bit of Monday Morning Quarterbacking on my part — but I bet if Co-Alliance looked further into partnering with an imagery provider, or perhaps a local UAV startup to fly some fields, they could cut that annual intern staff in-half (doubt these kids are working for free these days, but maybe I’m wrong there too), along with the data cleaning staff, and divert those resources elsewhere in the organization. And, just to be clear, this isn’t a shot at Co-Alliance at all. I’ve visited their operations in the past as part of the Asmark Retailers LIVE! Tour and have been thoroughly impressed with the group, and there are many, many retailers throughout the Midwest that still run similar summer scouting programs. Someday, however, I believe those college students will have to look elsewhere for summer employment as vast sensor networks enabled by weather stations and satellites and drones and IoT applications will completely revolutionize and optimize the scouting process. If Innovation Series were the Super Bowl of the Precision Ag world (Hey! It’s held in February; it’s not that crazy an idea!) 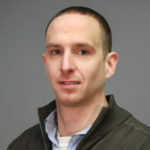 this author would vote Precision Plantings Justin Kaufman MVP for his presentation on the companies’ coming SmartFirmer seed firmer sensing platform. The SmartFirmer sensor replaces the traditional seed firmer on a planter, unlocking a whole new stream of in-furrow data that prior to this innovation was nearly impossible to obtain with any level of automation/without requiring manual inspection of the furrow. It measures organic matter, residue, and soil moisture as the planter moves through the field, and the data integrates with Climate Corp.’s FieldView platform for quick and easy viewing on an iPad or other mobile device. Now business decisions on residue levels at planting (Kaufman claims the company has research that shows 8-10 bushel yield advantages when we manage residue for clean furrows) and moisture levels during planting can be made with data to back them up. Putting the economics together in my head, I asked Kaufman whether one would need a SmartFirmer sensor on every row of, say a 16-row planter, and how much each sensor will cost once they are commercialized. He advised that for most applications the entire planter won’t have to be outfitted with these high tech sensors (one exception being if you wanted to measure residue levels row-by-row), and declined to comment on price as the company has yet to set one. While he didn’t (and couldn’t) answer my question, I can’t wait to see what service providers and growers can do with the SmartFirmer when its released. Start thinking about precision farming services beyond variable-rate fertilizer, and how you can leverage those services to increase revenue. Combine the agronomic knowledge you have on staff with the best of technology, for the best outcome. Start thinking beyond a single field at a time — and always be on the lookout for the unknown factor that could be hiding in imagery or other data. Be proactive to get better answers, and make sure you’re doing the right things in order to get the right answers. Use your broader network to your advantage, and strive and do whatever it takes to be the local agronomy lead. And so with that another winter Innovation Series event is a wrap. Just as Dr. Blackmer encouraged our attendees to take advantage of all the knowledge and expertise in their local communities, I’ll too encourage anyone with some skin in the precision farming game to attend one of our in-person events and really engage with the key players in this space, and help shape the industry that you love to work in, for the future. Get out from behind the computer and come see us sometime! Are we stuck in the 1960s with a narrow sexist perspective on who is the agriculture industry?